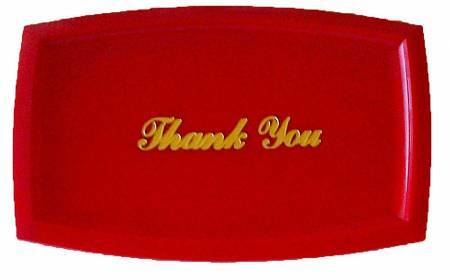 Thank your guests for choosing to dine at your establishment with a convenient “thank you” tray. 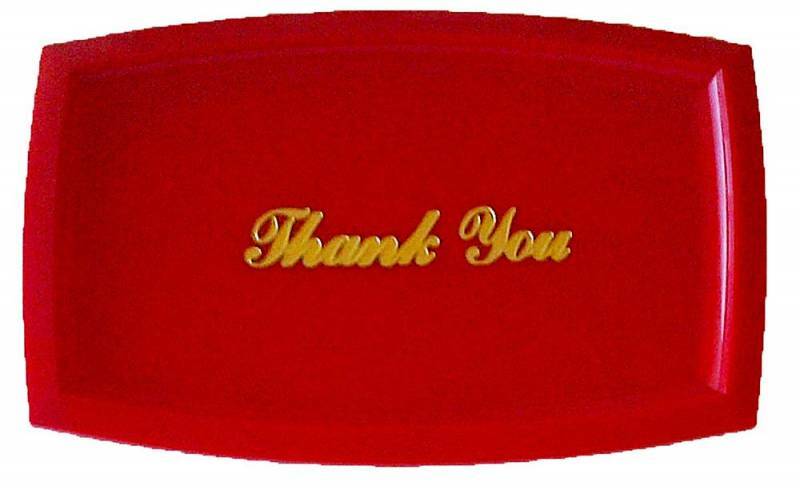 This red tray allows you to provide you guests with the bill, and lets you give change, collect credit cards and accept tips without money spilling onto the table. Its gold, cursive lettering gives an elegant touch to conclude your service. Its size is even ample enough to hold pens, candies and mints. Keep every part of service easy and effective; this lightweight tray makes your server’s job a little less hectic and your customers will be sure to return for another great dining experience.